Carpentry is one of the foundational occupations which allows homes and other buildings to be structurally secure. Carpenters regularly renovate and work inside of old buildings, but this presents a danger that is too often taken for granted: asbestos. Before 1980, asbestos was found in nearly every building. Carpenters may be exposed to asbestos in an old building during renovation. Asbestos splinters into microscopic particles if an asbestos containing material (ACM) becomes damaged, these fibers can easily be inhaled and cause mesothelioma many years after exposure. When renovating, carpenters use a wide variety of tools to grind, saw and shape various materials. However, these same tools can cause asbestos fibers to fly into the air. Asbestos can be found on and in many different materials, as it was commonly mixed with drywall, cement, bricks, insulation, and even sprayed on metal for soundproofing and heat resistance. If a carpenter wears a dust mask, asbestos can still enter his lungs. 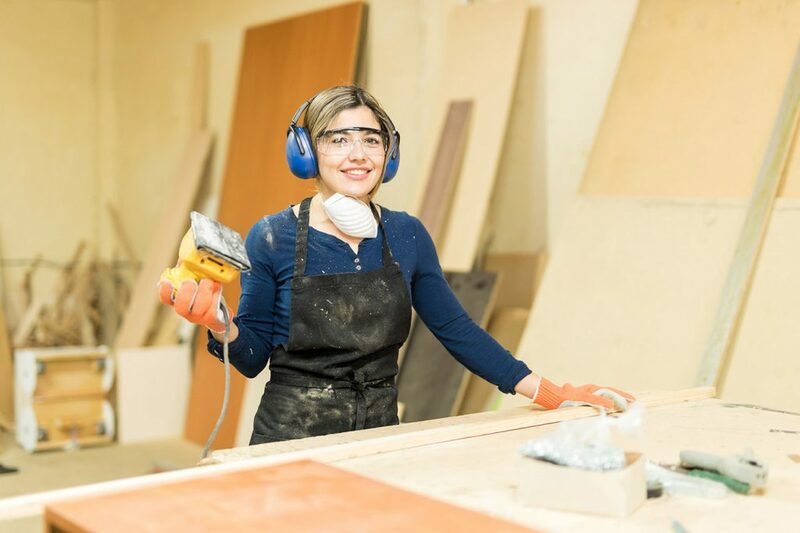 In fact, even if a carpenter properly wears a respirator that can block asbestos from entering his lungs, asbestos fibers may still reside in clothes that can pose danger to him and others later on. Because carpenters often have to work alongside other construction workers, it is possible that a carpenter breathed in asbestos that was exposed by another worker – even by a worker from a different company. Asbestos lingers in the air for a relatively long time, and can spread throughout an entire building if the building is ventilated. Communicating with other workers who work close to you, even if they work for a different company, is an enormous safety advantage to protect yourself from asbestos exposure. Who is Responsible for Asbestos Damages? It may seem obvious that the company who manufactured construction materials is at fault in cases of mesothelioma. However, actually determining who is responsible for your exposure and resulting diagnosis of mesothelioma takes an extraordinarily detailed investigation.. Many of the companies that used asbestos in their manufacturing are long since out of business, or could be nearly impossible to track down on your own. Furthermore, you would have to prove that the specific material they manufactured caused your injuries. In some cases, this means going as far as tracking down the serial number of a shipment of asbestos containing materials from decades ago, and showing that it was bought and delivered to a specific area. An experienced asbestos injury lawyer will investigate your work history and identify possible exposure and the companies responsible for it. Your attorney will know what route to take to protect your family and help you obtain a fair settlement or court award. Asbestos injury lawyers have teams of experts who are not afraid to investigate both exposure and liability issues as well as to prove the extent and value of your injuries. Please contact one of the attorneys listed in this directory for a free no-obligation consultation.